In the last year we have added 5 more babies to our Family Dental Center family! 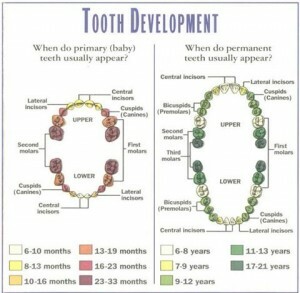 So we thought we would take a minute to discuss infant and child dental needs. In order to prevent tooth decay and cavities in primary teeth there are steps that you can take to reduce the risk. Only fill the bottle with breast milk, formula or water. Avoid giving fruit juices, sodas and other sugary drinks. Bacteria feed on the sugar from sweet drinks and produce acid, which attacks baby’s teeth. Especially wipe your baby’s gums after feedings and before bedtime. During that first exam, your dentist will check all of your child’s existing teeth for decay, examine your child’s bite, and look for any potential problems with the gums, jaw, and oral tissues. If indicated, the hygienist will clean any teeth and assess the need for fluoride. They will also educate parents about oral health care basics for children and discuss dental developmental issues and answer any questions. This will wash off bacteria and prevent them from clinging to gums. 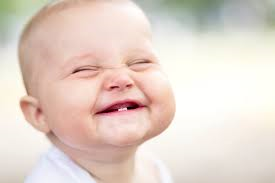 Bacteria can leave behind a sticky plaque that damages infant teeth as they come in. Once the first tooth comes in you can start using a toothbrush. Use a soft brush with a small head and a large handle. At first just wet the toothbrush and massage the gums and teeth, then once more teeth erupt you can use a small amount of toothpaste about the size of a grain of rice. We would be happy to help you and your family with all of your dental needs! The snow has melted; the sun is shining, and summer is almost here! With the arrival of summer comes trips to the park, bike rides, baseball/softball and all sorts of outside enjoyment. While we do everything to keep our kids safe during these activities, accidents still happen. Whether it be a fall on the playground or getting hit in the mouth with a baseball, injuries are bound to arise. Often times this trauma involves the face, mouth, and in particular the front teeth. Most common injuries to the teeth include chipped or cracked teeth, tooth intrusion, and tooth avulsion. A chipped or cracked tooth is probably the most common injury we see in a dental office resulting from sports or playground accidents. 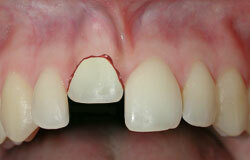 A chipped tooth is a visible fracture of the crown of the tooth. When only enamel is involved, the tooth may not cause any sensitivity and can be smoothed or a filling placed for esthetic reasons. 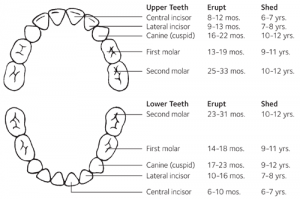 If the chip involves dentin, the tooth will likely be very sensitive to cold and hot temperatures and a filling or possibly a crown may be needed depending on the extent of the fracture. A large fracture of the tooth can include the pulp. You may notice bleeding coming from the center of the tooth if the pulp is involved. Immediate attention from your dentist is needed as this type of injury will be very painful and a root canal will be necessary if the tooth is able to be saved. Tooth intrusion occurs when a tooth is pushed up into the socket and will appear shorter than it used to. In children under 16, spontaneous repositioning is possible. However, if the intrusion is significant or repositioning doesn’t occur, the tooth may need to be surgically repositioned or orthodontic treatment may be required to reposition the tooth. Frequently the nerve of the toot dies and root canal treatment will be necessary. 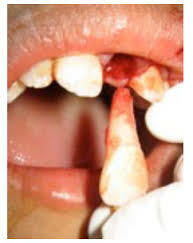 Tooth avulsion, is when the entire tooth including the root is displaced from the socket. The outcome of this injury is largely determined by how quickly treatment is initiated. 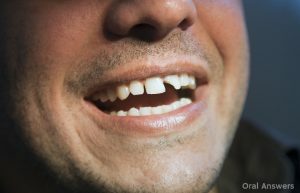 When a permanent tooth is knocked out completely, call your dentist immediately. If the person can be seen within an hour of the accident, the prognosis is much better. If you can get to your dentist quickly, find the tooth and touch it by the crown only. Avoid handling the root if possible. Some schools and parks may have a “Save a Tooth” jar to keep the tooth in while transporting the patient to the dentist. If not available, place the tooth in milk, Gatorade, or if the patient is able, hold the tooth in his or her mouth. Your dentist will attempt to replant the tooth into the socket and follow up may include root canal therapy and splinting of the tooth. Let’s face it, going to the dentist is usually not at the top of most people’s fun list. Going to the dentist does not have to be an unpleasant experience that we dread. Missing out on dental care can lead to real health issues including oral cancer, heart disease, and even Alzheimer’s disease. If dental issues are caught early on they can be treated quite easily and at a reduced cost. Once the issues progress, not only does the level of treatment increase but so does the cost. Dental Phobia– A large segment of the population has an unhealthy fear of the dentist. This can be due to previous bad experiences or a learned trait from their parents. Luckily, dental phobia can be overcome with good communication between patient and dentist. Choosing the right dentist goes a long way to creating a positive dental experience. Cost– Money is always a factor in consumer choices and that includes our health needs. We all make choices every day based on cost. The reality is that visiting the dentist twice a year and finding dental issues early on are far less expensive than waiting until there is a problem developing. For example, in the early stages of tooth decay it can be easily fixed with a filling and be done in less than an hour. If left untreated it can enter the nerve of the tooth thus causing the need for root canal therapy and possibly a crown to save the tooth. The difference in cost could be as much as 10-12x the cost of the filling. Also maintaining good oral hygiene at home can go along way to saving you money and discomfort over time. Time- We all have a lot going on in our lives between work and family commitments. Finding the time to take care of our bodies should be a top priority but sometime it isn’t. This is where making going to the dentist a routine from an early age comes into play. Dental health is vital to living a long happy healthy life. Fear of Being Reprimanded– No one likes getting yelled at but many have faced a hygienist or dentist who has lectured them on doing a better job with at home oral hygiene. Again it comes down to choice of dentist and staff. You need to choose a dentist who is open to communication and finding better ways that work for you to maintain your hygiene. Ignorance– Many people have grown up to believe certain myths or wives tales. A good example is that if my gums bleed just a little when I brush that is normal. Bleeding gums are never normal from routine brushing. This is a sign of the development of periodontal disease. The earliest phase, gingivitis, can be reversed but once it advances to periodontitis it can be maintained but no reversed. Ignorance or lack of education is not an excuse to take care of your teeth and gums. For kids under age 3, as soon as your child’s teeth start to come into the mouth, brush using a children’s toothbrush and fluoride toothpaste in an amount no more than the size of a grain of rice. Use a pea-sized dab of fluoride toothpaste for kids ages 3-6, and use slightly more when they’re older. Teach them to spit out the toothpaste when they’re done so they don’t swallow it. Help your kids place the toothbrush at an angle against their gums. Help them to brush with soft circular motions. Help them brush the front, back, and top of teeth. Don’t share saliva with your baby by sharing spoons, licking their pacifiers or pre-chewing their food. Brush your children’s teeth until they are able to do so themselves, usually around age 8. Then, supervise their brushing to make sure they brush thoroughly 2 minutes 2 times a day and spit out the toothpaste afterward. Place only formula, milk, breast milk, or water in baby bottles. Infants should not be put to bed with a bottle. Encourage your children to drink from a cup by their first birthday and don’t let your child sip all day from a training (sippy) cup with sweetened beverages. Encourage healthy eating habits that include a diet with plenty of vegetables, fruits and whole grains. Serve nutritious snacks to your kids and limit sweets to mealtimes. Make sure that your kids get the fluoride they need. Discuss your kids’ specific fluoride needs with your dentist or pediatrician. It’s important to visit your dentist regularly your whole life. Seeing a dentist regularly is important for good oral health. Dentists can detect small problems before they become bigger, more painful problems. Your child could have oral health problems you don’t know about like cavities or gum disease. Your dental health is an important part of your overall wellness, and the New Year is a great time to create resolutions for improving your health. Many people have dental health resolutions that range from improving their toothbrushing habits to completing delayed dental treatment. Understanding the benefits of your particular resolutions can be motivating and rewarding. Whatever your goals might be, it is important to take small steps to achieve them. Consistency is key with any resolution that you make. Perhaps you would like to improve your oral health. Daily toothbrushing and flossing is a sure and simple way to improve your oral health. For successful bacterial plaque removal, it is important to brush at least twice a day using an appropriately sized, soft-bristle, manual or electric toothbrush and fluoridated toothpaste. When you brush your teeth, gently position the toothbrush bristles at a 45-degree angle toward the gumline and move the toothbrush across the teeth to effectively remove bacterial plaque. It is also important to floss at least once per day to remove bacterial plaque and food that has accumulated throughout the day. Your toothbrush should be replaced every 3 to 4 months, as well as after you have a cold or flu or if the bristles are frayed. Daily toothbrushing and flossing help to prevent gingivitis (gum disease), tooth decay and halitosis (bad breath). The daily use of antimicrobial and fluoride mouthrinses also helps to improve your oral health. An important part of achieving your dental health resolutions is making healthier food and beverage choices, especially for snacks. Frequent consumption of food and beverages containing carbohydrates and acids contributes to tooth decay, so it is important to brush after snacking. Using a Xylitol-containing gum or lozenge after a meal will also help to neutralize acids and reduce cavity-causing bacteria and plaque buildup. The New Year may be the right time to start or complete deferred restorative dental work, such as crowns, implants or fillings. Completing these types of procedures will help you to preserve the tooth structure and to maintain proper tooth alignment, which could ultimately improve your oral health. Quitting cigarette smoking and smokeless tobacco use is important for improving your oral and overall health. There is no better time than the present to make a resolution to stop tobacco use. Consider free online tools, smoking cessation groups, progress-tracking apps and support from friends and family to assist you with tobacco cessation. A resolution to make routine visits to the dentist may help prevent oral disease or reveal an existing disease in its early stage. 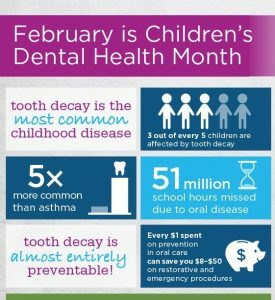 Dental visits should take place every 6 months to allow your dentist and dental hygienists to monitor the condition of your oral cavity and develop an appropriate treatment plan to meet your wants and needs. Your dentist can refer you to a specialist for a treatment that is beyond the scope of his practice. Halitosis is commonly known as “bad breath”–bad breath is breath that has an unpleasant odor. This odor can occur from time to time, or it can be long lasting, depending on the cause. About 1 in 5 people in the general population suffer from it, and many people who think they have it actually do not. Halitosis is a concern of many patients seeking help from health-care professionals. Although halitosis is usually an odor associated with the mouth, patients are more likely to contact their primary care medical doctor for diagnosis and management despite the significant dental component involved. Due to the multifactorial complexity of halitosis, each case should be treated individually, and diagnosis and treatment needs to be from a multidisciplinary approach. Millions of bacteria live in the mouth, particularly on the back of the tongue. In many people, they are the primary causes of bad breath. The mouth’s warm, moist conditions are ideal for the growth of these bacteria. Most bad breath is caused by something in the mouth. Some types of bad breath are considered to be fairly normal. They usually are not health concerns. One example is “morning breath.” This occurs because of changes in your mouth while you sleep. During the day, saliva washes away decaying food and odors. The body makes less saliva at night. Your mouth becomes dry, and dead cells stick to your tongue and to the inside of your cheeks. When bacteria use these cells for food, they produce a foul odor. Poor dental hygiene — Infrequent or improper brushing and flossing, allows bits of food that are stuck between the teeth to decay inside the mouth. Poor oral hygiene eventually will lead to periodontal (gum) disease, which also can cause bad breath. Infections in the mouth — These can be caused by either a cavity in a tooth or by periodontal (gum) disease. External source — Garlic, onions, coffee, cigarette smoking, chewing tobacco. Smoking and drinking coffee, tea and/or red wine will contribute to your teeth becoming discolored. Dry mouth (xerostomia) — This can be caused by salivary gland problems, medicines or “mouth breathing.” A large number of prescriptions and over the counter medicines cause dry mouth. 1- First, there’s the lingering odor of foods that you’ve just eaten. These are pungent aromas, no matter how good your oral care is. When someone’s just eaten garlic or onion, it sticks around for a while. You can mask it pretty well with gum, breath mints, or mouthwash. 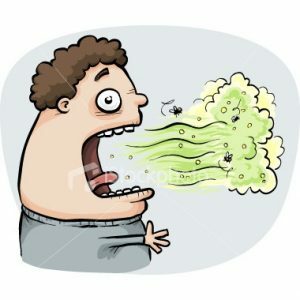 2- Bacteria is largely to blame for bad breath. When food particles are left behind on your teeth and gums, they turn into plaque, which bacteria feast on and create waste products that smell awful. A dentist or physician may notice bad breath during an office visit. Sometimes, the smell of the patient’s breath may suggest a likely cause for the problem. For example, “fruity” breath may be a sign of uncontrolled diabetes. A urine-like smell, especially in a person who is at high risk of kidney disease, can sometimes indicate kidney failure. Your dentist will review your medical history for conditions that can cause bad breath and for medicines that can cause dry mouth. Your dentist also will ask you about your diet, personal habits (smoking, chewing tobacco) and any symptoms. He or she also will ask who noticed the bad breath and when. Your dentist will examine your teeth, gums, mouth and salivary glands. He or she also will feel your head and neck and will evaluate your breath when you exhale from your nose and from your mouth. Your dentist may refer you to your family physician if an illness is the most likely cause. In severe cases of gum disease, your dentist may suggest that you see a periodontist (dentist who specializes in gum problems). You will need diagnostic tests if the doctor suspects a lung infection, diabetes, kidney disease, liver disease or Sjögren’s syndrome. The type of tests you get depends on the suspected illness. You may get blood tests, urine tests, X-rays of the chest or sinuses, or other tests. **Call your dentist promptly if you have bad breath with loose teeth or painful, swollen gums that bleed easily. Even if you have none of these symptoms, call your dentist or physician if your bad breath continues despite a good diet and proper dental hygiene. Sometimes bad breath can be a sign that a medical condition needs attention right away. If you have diabetes, gastroesophageal reflux disease (GERD) or chronic liver or kidney disease, ask your doctor what bad breath may mean for your condition. 1.Loesche, WJ; Kazor, C (2002). “Microbiology and treatment of halitosis”. Periodontology 2000 28: 256–79. doi:10.1034/j.1600-0757.2002.280111.x. PMID 12013345. 2. Harvey-Woodworth, CN (April 2013). “Dimethylsulphidemia: the significance of dimethyl sulphide in extra-oral, blood borne halitosis.” British dental journal 214 (7): E20. doi:10.1038/sj.bdj.2013.329. PMID 23579164. How do you choose what toothpaste AND toothbrush to use? Ever find yourself staring at all the colorful boxes of toothpaste on a store shelf wondering which one is best for you? You may not often stop to think about your toothbrush and toothpaste, yet you use these tools every day. While all the products on the shelf might seem the same, with a little help from your dentist you can determine what is right for you. No matter the brand, always select a toothpaste with the American Dental Association (ADA) seal of approval. Anti-cavity: Almost all the options on the market contain fluoride. Fluoride is just as important as brushing in preventing decay, and it actively strengthens tooth enamel. Anti-gingivitis: Do your gums suffer from redness and bleeding? You might have gingivitis, a mild form of gum disease. Anti-gingivitis toothpastes help reduce oral bacteria and can be very effective at stopping this gum condition at its source. Desensitizing: Ever take a sip of hot coffee or a cold beverage and feel a shooting pain? This type of toothpaste might be the key to relief – it helps reduce pain by blocking the tooth’s pain signal to the nerve. Tartar-control: As its name indicates, tartar-control toothpaste helps prevent the buildup of tartar – hardened plaque. While this product is helpful in slowing new buildup on teeth, a professional dental cleaning is the only way to remove existing tartar and the bacteria it harbors. Whitening: Containing polishing or chemical agents that remove surface stains, this toothpaste is able to help maintain the natural color of your teeth. **All toothpastes with the ADA Seal of Acceptance contain fluoride. In addition to fluoride, toothpastes may contain active ingredients to help improve tooth sensitivity, whiten teeth, or reduce gingivitis or tartar build-up. Toothpastes with the ADA Seal of Acceptance do not contain any flavoring agent that causes or contributes to tooth decay (e.g., sugar). A product earns the ADA Seal of Acceptance by providing scientific evidence that demonstrates the safety and efficacy, which the ADA Council on Scientific Affairs carefully evaluates according to objective requirements. Bristle firmness: Soft brushes are recommended by dentists for daily use. Unless your dentist advises you otherwise, reach for a brush labeled “soft” on the package. Bristle shape: Are the ends of the bristles blunt or rounded? This is a small detail that can make a world of difference. Rounded bristles are less likely to damage delicate gum tissue. Bristle surface: The shape of the face of the bristles that make contact with the tooth changes the effect. Flat and multilevel brushes are the best for all-around cleaning. Handle design: Select what is most comfortable for you. All handles seem to be equally effective when used properly. Large handled brushes are often easier for children to grip. Head shape and size: Toothbrushes come in all shapes and sizes. Choose the shape that is the most comfortable for your mouth. If you have a small mouth, opt for a compact brush. 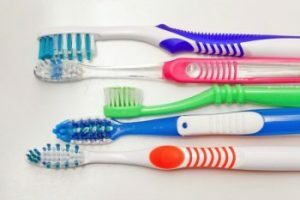 Electric toothbrushes: Electric toothbrushes are just as effective as manual ones when you use proper brushing techniques. Electric brushes can be a great option for people who have trouble reaching the corners of their mouth and have trouble brushing for the recommended two minutes. Remember: Your toothbrush won’t last forever. Three months is a typical lifespan, but whenever the bristles start to become bent, it’s time to go shopping. Quick Tip: Despite popular opinion, it is actually less sanitary to keep your toothbrush covered. Letting the brush air dry between uses prevents the growth of bacteria on the bristles. October is National Dental Hygiene Month, an effort to celebrate the work dental hygienists do and to help raise awareness on the importance of good oral health. Brush the outer surfaces, the inner surfaces and the chewing surfaces of the teeth. Although recent news reports have questioned its benefits of cleaning between your teeth, it is still an essential part of taking care of your teeth and gums, according to MouthHealthy.org. The ADA recommends cleaning between your teeth once a day to remove plaque that is not removed by brushing. Plaque can eventually harden into calculus or tartar. Because teeth alone account for less than half of the mouth, rinsing can help eliminate biofilm and bacteria that brushing and flossing cannot. Rinsing often, along with brushing and flossing, may help reduce the chance of dental decay and infection. However, avoid rinses that have alcohol in them, according to MouthHealthy.org. Lastly, clinical studies have shown that chewing sugarless gum for 20 minutes following meals can help prevent tooth decay. The chewing of sugarless gum increases the flow of saliva, which washes away food and other debris, neutralizes acids produced by bacteria in the mouth and provides disease-fighting substances throughout the mouth, according to MouthHealthy.org. © 2016 American Dental Association. All rights reserved. Reproduction or republication is strictly prohibited without the prior written permission from the American Dental Association. Have you ever wondered why your dentist recommends you to visit their office every six months for a dental check-up and a hygiene appointment? It’s because regular dental visits are essential for the preservation of teeth and gums, and in between the exams it is absolutely vital that you work to keep your teeth and gums clean and healthy. During routine dental exams, the dentist and/or dental hygienist will look at your teeth, gums, mouth and tongue. They will check the teeth visually and with x-rays for decay and the overall health of your gums. Many dentists will pay special attention to plaque and tartar. Plaque and tartar can build up very quickly if good oral hygiene is not practiced between visits. If not removed, soft plaque can harden on the teeth and cause irritation in the tissue of the gums and if left untreated, it can lead to gum disease. Along with the examination, the dental hygienist typically provides a thorough cleaning of the teeth. They are able to remove any plaque or tartar, floss and polish your teeth, and review recommended brushing and flossing techniques. Once the examination and cleaning are complete, the dentist or dental hygienist will discuss the overall health of your teeth and gums. They may also provide you with any recommended treatment that you may need. To book your next dental exam and hygiene appointment, please give us a call at 605-886-2805. Of people believe that a smile is the most memorable feature after first meeting someone. Braces create a beautiful smile, but the retainer maintains it while encouraging better oral hygiene long after its use goes away. Although retainers for teeth are most commonly used to hold straight teeth in place after braces, the advantages for your kids in wearing their retainers correctly – per their orthodontist’s orders – go beyond that. 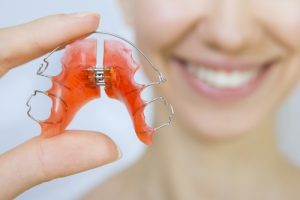 Did you know wearing a retainer can also help iron out speech problems? More than likely, though, the hardest part of having a new retainer is losing it, commonly to the trash can in the school cafeteria. Getting kids into the habit of wearing their retainer correctly and keeping it safe isn’t easy, but knowing its advantages and how to make sure your kids embrace their retainers will help your whole family navigate the process with less stress – and higher marks from your orthodontist. Retainers for teeth are mostly used as the last phase of orthodontics treatment. After the braces have been removed, teeth can shift back to their original position. 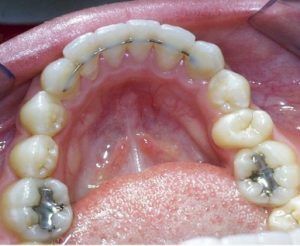 So, retainers can help maintain the position of straightened teeth. 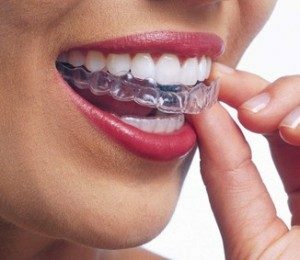 If you choose not to continue to wear your retainers once the braces are removed and for the remainder of your lifetime, whether it be a clear essix, hawley retainer or any other retainer, you risk the chance of your teeth shifting and moving. People with straight teeth are………. More likely to get a date based on their picture alone?